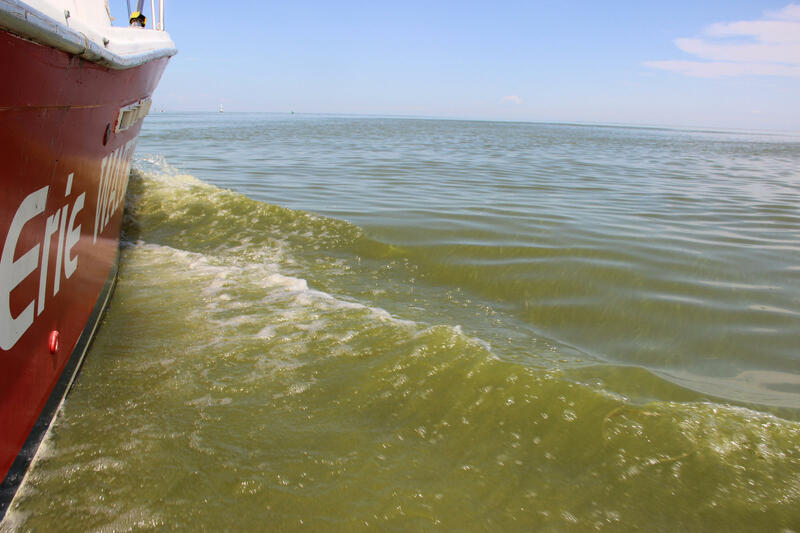 A cyanobacterial bloom on Lake Erie. Congresswoman Debbie Dingell announced Tuesday that the National Oceanic and Atmospheric Administration is giving a grant of $585,702 to the Great Lakes Observing System. The money will go toward improving the collection and sharing of data on early signs of harmful algal blooms (HABs) in Lake Erie.